A cluster of Egyptian galleries at this year’s Beirut Art Fair (until 23 September) in Lebanon reflected a modest but coordinated effort to help those in both countries overcome financial hurdles, organisers say. 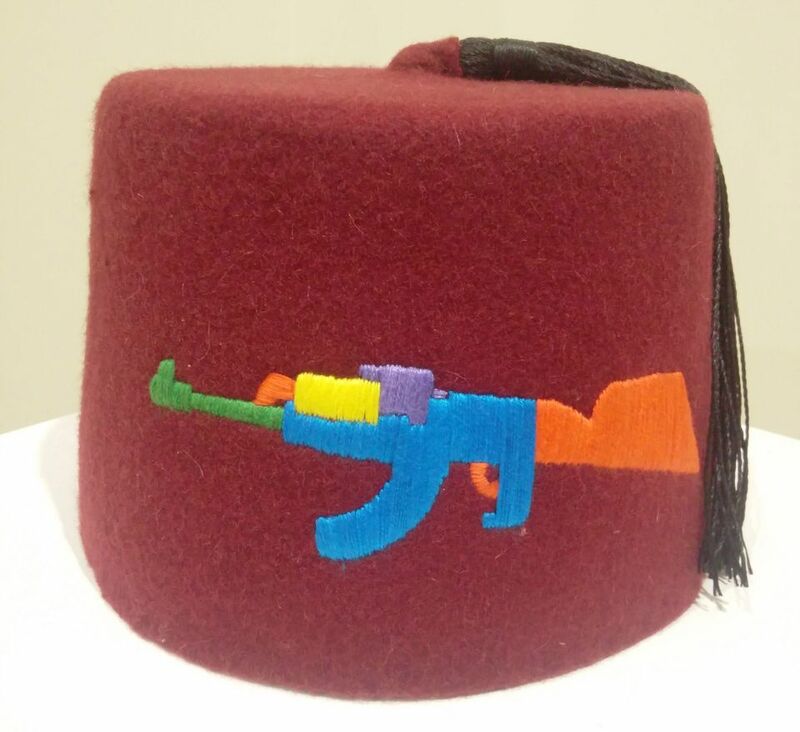 Four Egyptian galleries took part, with work ranging from wittily reworked traditional tarboosh hats, or fezzes, by the Italian artist Carmine Cartolano, aka Quarm Qartfor $600-$900 from Mashrabia Gallery, to works by the Egyptian sculptor Adam Henein (including the $75,000 Fish) with Cairo’s Karim Francis Contemporary. "The main problem for Egyptian galleries is the difference in the valuation of the currency because everything has to be paid outside of the country in dollars, so it takes a lot of money to present art work [abroad],” says the fair’s outgoing artistic director Pascal Odille. "We made for them a special offer to come to Beirut and give visibility to both Modern and young artists," he says. In a collaboration with the new Founoun Gallery in Beirut, some of the Egyptian works will also stay on display (and for sale) in the country after the fair. With dealers keeping a wary eye on both the Lebanese economy and the troubled art markets in the Gulf, the fair spent $100,000 this year on a collector outreach effort to encourage those from other regions to “come and buy in Beirut” with an expanded events programme, says the director and founder Laure d’Hauteville. The fair this year has 53 exhibitors (mainly Lebanese and French galleries), but several veterans remark that this year is short on new discoveries. Early sales, however, included two editions of Dust in the Wind by the Lebanese film-makers and artists Joana Hajithomas and Khalil Joreige ($20,000 each), and a piece at $9,000 by the Dubai-based Iranian artist Rokni Haerizadeh—all sold by In Situ - Fabienne LeClerc from Paris. One artistic curiosity came in the neighbouring Beirut Design Fair, where the Iraqi artist Dia al-Azzawi showed his brightly colourful furniture for the first time in a dedicated display with Marc Hachem, with larger pieces priced at $56,000.